Dwayne “The Rock” Johnson hosted Saturday Night Live for the fifth time last night, and it was, of course, totally delightful. Fans may know him for his acting roles, but Johnson has a well-documented amazing sense of humor as well. That’s why this sketch that combined his wrestling past and his comedy chops was pretty much the best thing ever. In it, Johnson played a wrestler that hits a little too hard below the belt when insulting his opponent. Meaning he makes the normal verbal sparring in wrestling way too personal! Needless to say the sketch is pretty incredible, so you definitely take a few minutes and watch it right now. Great, now that you’re back, and have presumably watched the sketch, we can continue talking about how amazing this is. Johnson is just so goofy and funny, no matter what he’s up to. Add that to the hilarity of this sketch where the disses get way too specific and weird, and this sketch is pretty much pure gold. We know, it was the season finale and those writers need a nice long break. 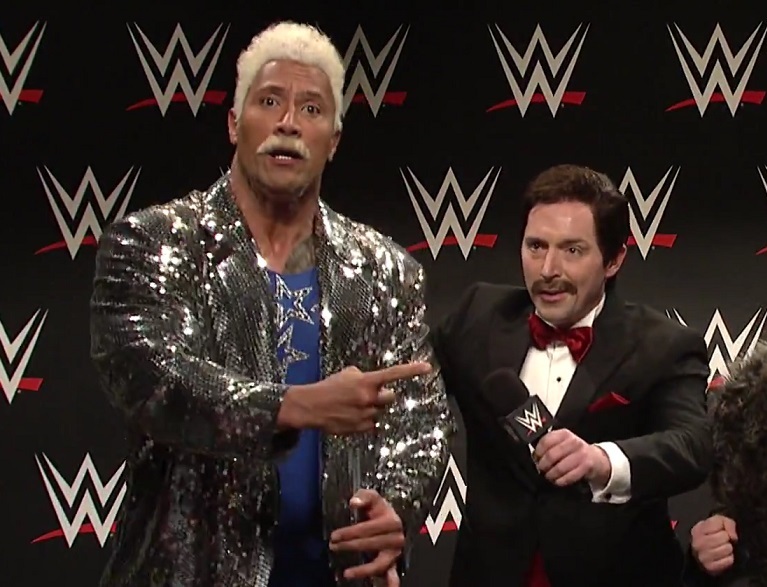 But Dwayne Johnson has a proven track record of awesomeness on SNL, and will presumably be back in the future. The weirdly personal trash talk actually has a history; Johnson first premiered the wrestler character in 2015! So all we’re saying is it just makes sense, right? It just seems like one of those things that magically works out well for everyone. We just hope that our crazy recurring wrestler comedy sketch dreams come true!